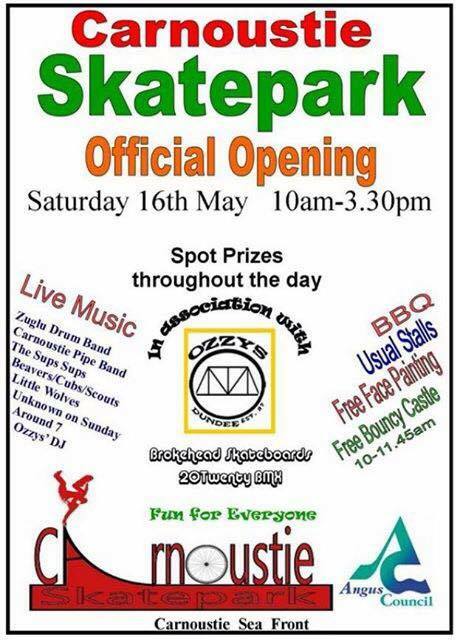 The opening ceremony of the newly completed Carnoustie skatepark is on Saturday 16th May. The park is looking awesome (the result of the hard work of the guys at Concreate skateparks! ), so get along on the day and check out the newest addition to Scotland’s growing concrete facilities. Photo credit above: Jamie Craig.